Ending child homelessness — one heart at a time. StreetHearts wants to end child homelessness, one heart at a time. 1 in 30 children in the United States is homeless. 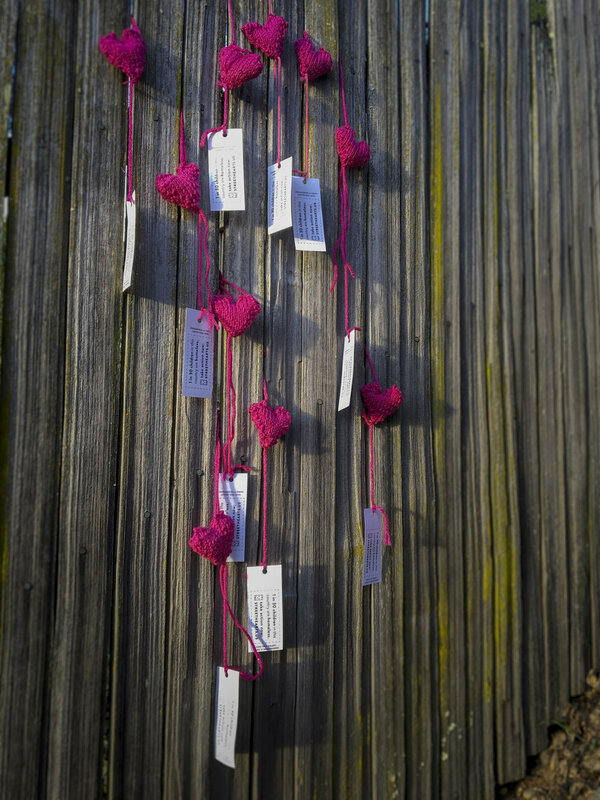 StreetHearts is raising awareness of this critical and largely invisible issue — by placing hearts in public spaces, and making it easy for anyone to take direct action. For many years, I worked with homeless children and their families in the San Francisco Bay Area* — as a family therapist, preschool teacher, art therapist, and case manager. I was amazed at the invisibility of these families to the general public. Amazed at how many people had no idea that children are homeless in this supposedly rich country. 1 in 30 children — that's 1 in every average public school class. Amazed at people's ideas of what the average homeless person looks like. Reality check: children and families are 35% of the homeless population in America. Children living in cars. Moving from couch to couch. Sleeping in garages, basements, shopping malls, storage spaces — even hospital emergency rooms. And to inspire you — yes, you! — to take action, right now. There are so many ways you can make a difference: Donate to some amazing organizations. Volunteer your time. Make some StreetHearts of your own. Stay updated online. And much, much more. Join me in spreading the word, spreading the love, and helping end child homelessness — one heart at a time. *StreetHearts acknowledges that we are on the stolen land of the Ohlone people. Ending child homelessness, one heart at a time.